Whatsapp lovers, there is a good news for all of you! Whatsapp will be now free for the life-time. 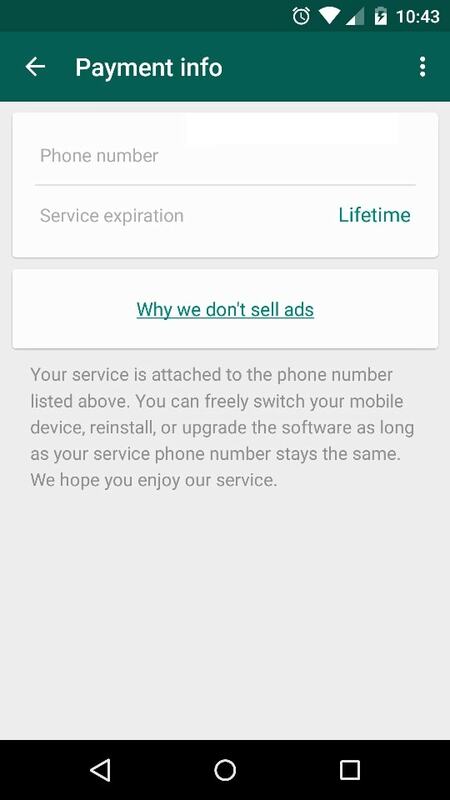 Whatsapp has decided not to charge any yearly subscription fees now onwards. Previously except some countries, for other countries, Whatsapp were charging approx. $1 as annual subscription charges after completion of 1st-year free service. If they are not charging Fees then How they will earn? This question may arise in your mind as Whatsapp had already mentioned that they Don’t sell ads, so how will they meet expenses? The previous strategy was allowing users to use it free for a year and then from next year onwards applying fees, so if they have 700 million active users, then they can earn approx. 400 million dollars yearly revenue after 1st-year completion of service, this was an enormous amount. Now what will be the strategy? They have the Investors with them, a self-funded company, so they can easily meet their expenses. Also as per the Whatsapp official blog statements, They are searching for an alternative model to get revenue from it. Their basic Idea is to get maximum users and loyal, active set of regular users. Why are they not charging fees? Whatsapp official Post says that. 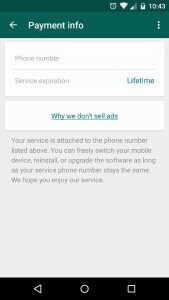 “Many of the Whatsapp users may not have Credit/Debit cards, and they may have a fear of service expiration after 1st-year free service, due to this we have decided to make WhatsApp free to all users for the lifetime”. After acquisition of Whatsapp by the Facebook for $19 billion deal in February 2014, [Here actually the Whatsapp team have earned money! ], You can see your WhatsApp contacts being shown as Friend Suggestion in Facebook, so we can say that Whatsapp shares its data with Facebook, Facebook didn’t buy past data, it acquired future data. Our Contact books are the biggest source to linking social network, and Facebook will do it through the WhatsApp. ISPs provides money per download for popular apps. Also, Free Basics is being promoted by Facebook, so in the future, you may get FB, Whatsapp Data packs by ISPs. After reading the headline of this article, you can also say that ” Now Use Whatsapp Free for Lifetime because you are the sole source of data and Information.” For lifetime, you may be granting access to your private chats or data to Facebook, which is a huge data collector company. Your comments are needed to discuss more things with it.